CRMJetty - SuiteCRM Customer Portal for Joomla is a SuiteCRM based portal solution for Joomla that not only gives your customers an alternative way to get fast and hassle-free support but also save valuable support hours. And the best part is that you can deploy this portal solution with minimal investment as it integrates and leverages your existing CMS and CRM systems. Which means no headache of organization wide system restructuring or expensive manpower training. At CRMJetty we have achieved this by integrating one of the most popular and robust CMS frameworks, Joomla with the world’s most popular CRM for SMEs, SuiteCRM. So our portal solution leverages the popularity and in-built frontend functionalities of Joomla and combines it with the flexibility and robustness of SuiteCRM to give you a world class customer portal that is functional, secure, scalable and customizable. Allow customers to access all their relevant data. For example past service requests placed or documents uploaded. 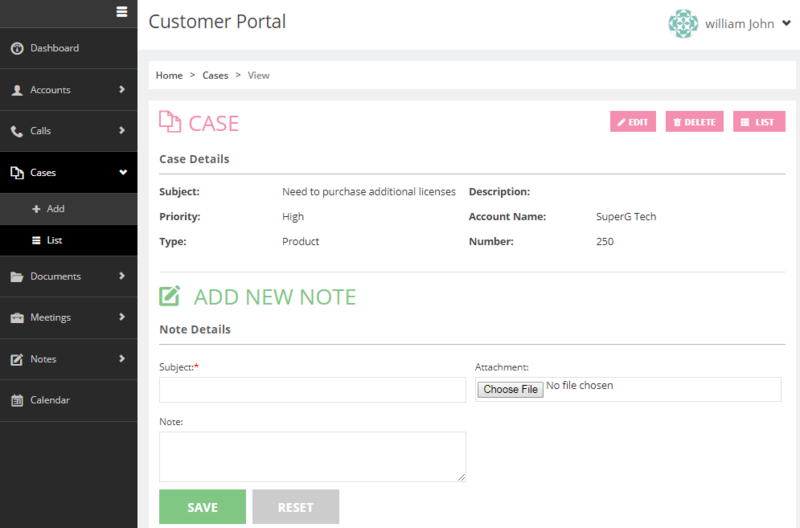 Since our portal will be connected with CRM system you can provide better customer experience by following up all open cases and support requests to their logical conclusion. Customers can also add their comments on all the open cases and provide their feedback on the resolution process. Our portal solution integrates Joomla with SuiteCRM. So you don’t have to invest in additional software or infrastructure or training. Our portal solution is also customizable. Depending on your industry and your unique customer requirements we can customize the portal modules and make it work for your business. Create accessibility-based user groups and add contact to assign specific roles. 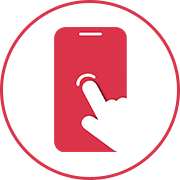 A user can have access only to the modules that are assigned to them in that specific group. Admin can create multiple groups and add contacts to them. 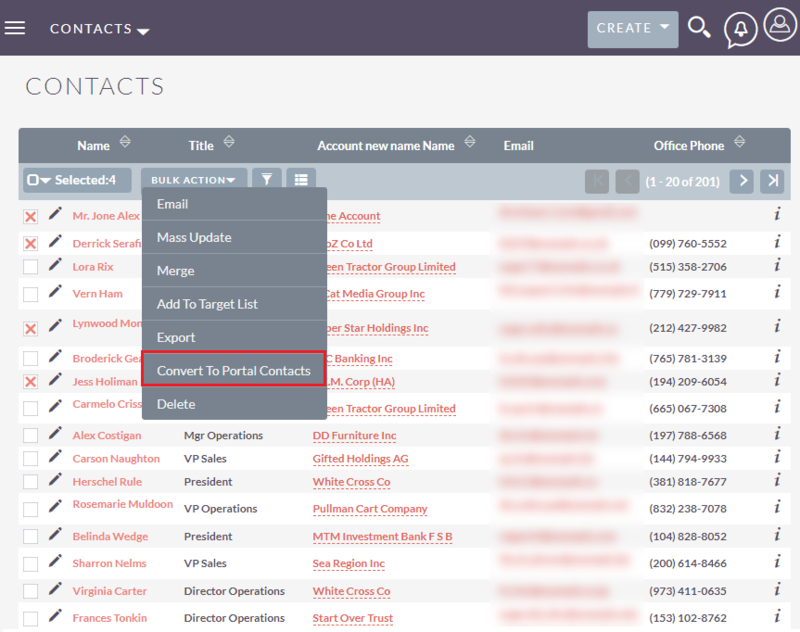 Add your existing CRM contacts and convert them as portal users easily. System will generate credentials of converted contacts. These credentials would be shared with users through emails using which they can log into the system. Set Portal Layouts for each accessible module. 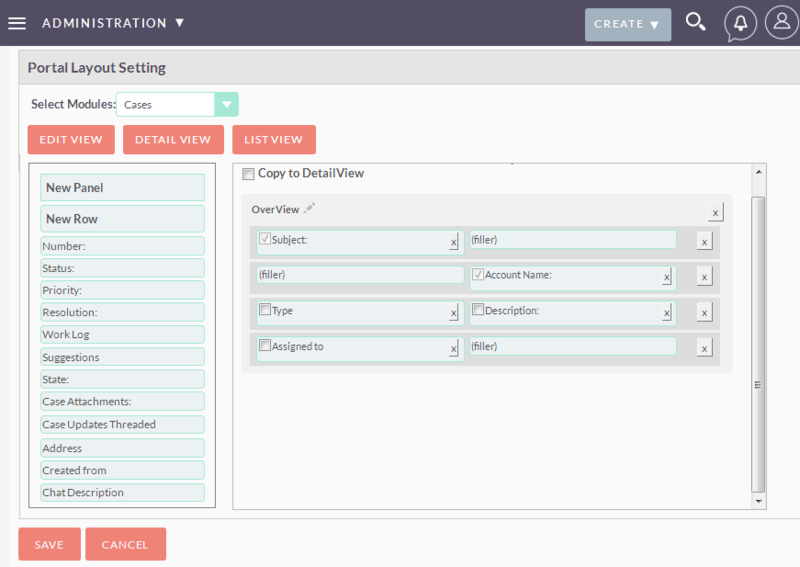 Customer Portal plug-in provides facility to set Portal Layouts for each module in SuiteCRM. 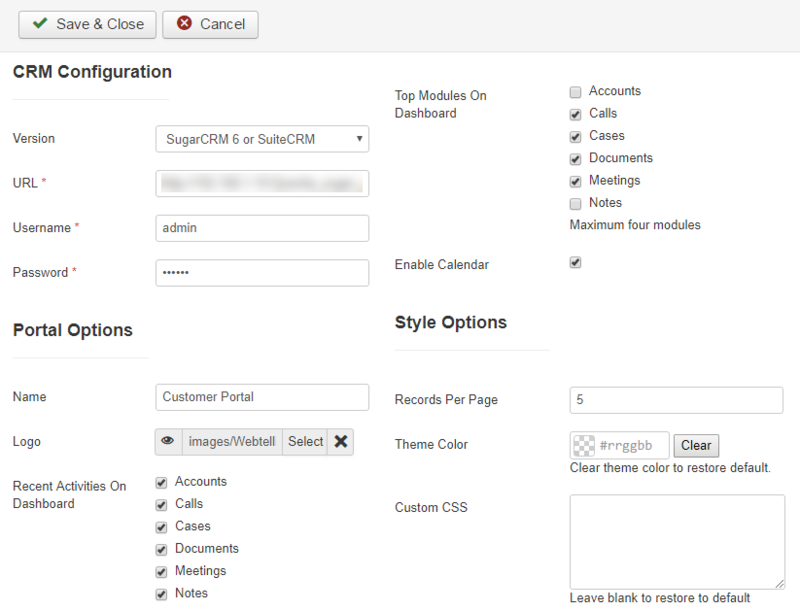 Users can set Layouts for List, Edit, & Detail view from SuiteCRM and the same will be displayed in the Portal. Safe and secure Portal Login for Customers. A new user can directly sign-up from the Portal. The credentials will be verified to check whether any customer has been registered with same username and email address. 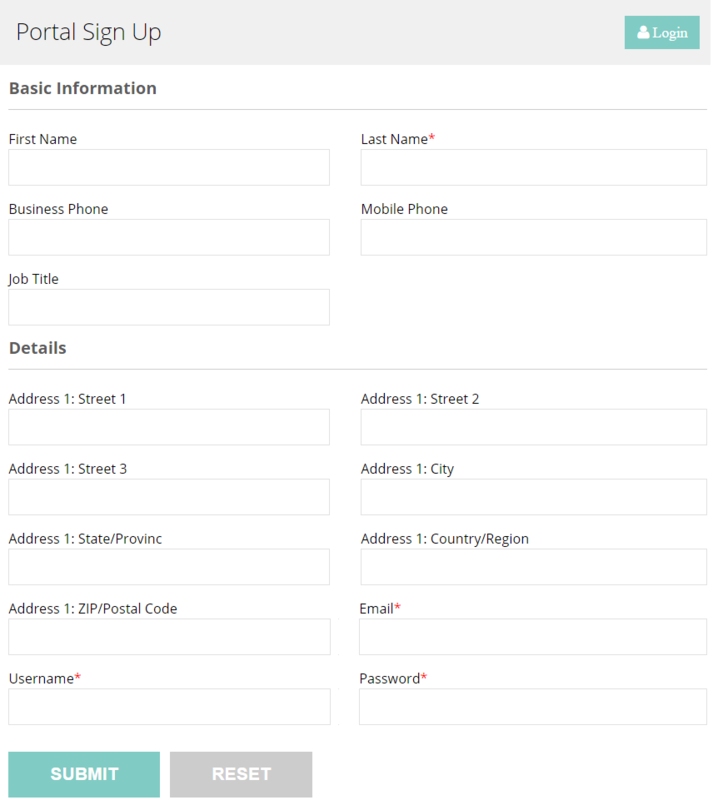 If any such user does not exist in the system then a user will be created SuiteCRM Contacts module. Customers will get an attractive dashboard with all enabled modules for quick accessibility. Customers will be displayed only those modules which are assigned to them by the administrator. 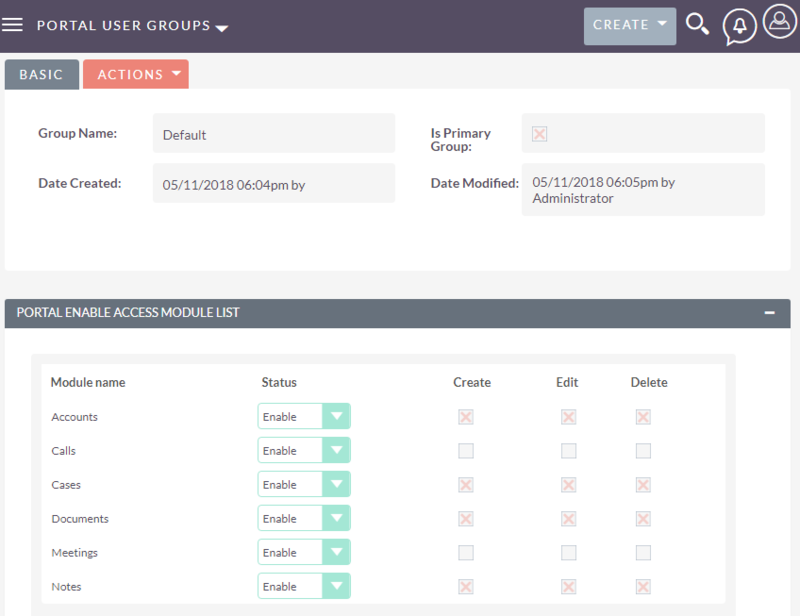 Accessibility to different modules for different user groups can be set from the SuiteCRM backend. Joomla admin can set modules displaying recently added records and allow portal users to view them in their dashboard. Customers can add, update or delete records from the portal which will automatically reflect in SuiteCRM. They can easily access all the portal modules in one go with a single pane display on the left. An easy to use interface will help users to add records into the CRM or to display records added from the CRM. 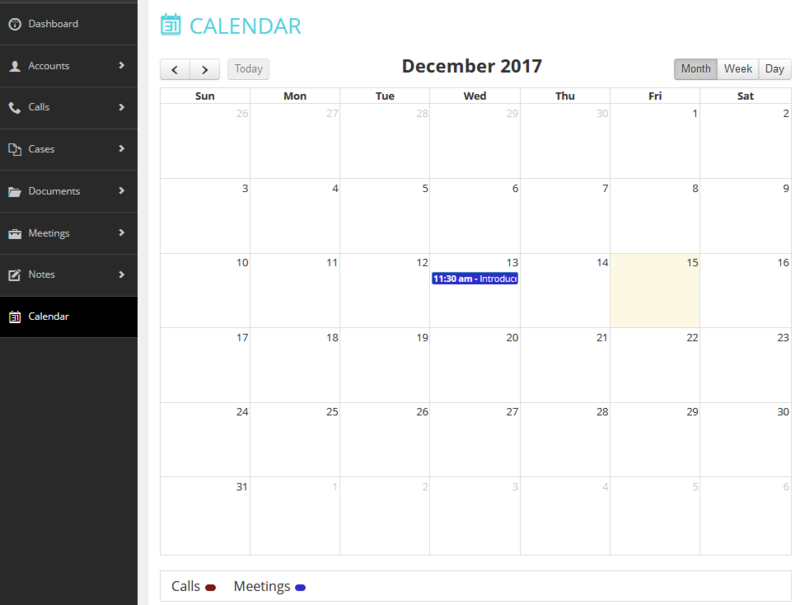 Users can view all their meetings and calls scheduled for the day, week or the whole month in calendar view. This will help users to view all their important activities at one place.